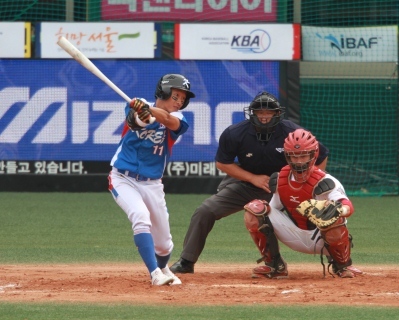 The final results of the International Baseball Federation’s mail-in ballot were announced Wednesday and saw unanimous approval from the IBAF membership to create a new and unified world body that would govern both baseball and softball at the international level. The mail-in vote followed the International Softball Federation Oct. 30 Congress in Houston, Texas (USA), where the softball membership formally approved establishing a single international baseball and softball organization to oversee the sports. “This is another critical step in the long-term prosperity and development of softball and baseball worldwide,” said IBAF president, Riccardo Fraccari. “We are moving forward with our colleagues from softball in an effort to streamline administration, add key support to our athletes and NFs and further develop our sports, and we look forward to presenting an exceptional value proposal to the Olympic Movement for 2020 and beyond,” Fraccari stated. ISF’s President, Don Porter, received the positive news during his latest meetings with Fraccari in Rome. “We congratulate and applaud our partners at IBAF on this historic decision which puts the interests of all our athletes and our sports first,” Porter said. “As we prepare our first important presentation to the IOC [Programme Commission] as a joint IF in a few days, this confirmation from IBAF gives us added inspiration and momentum,” Porter said.